Family, Friends and Community, please take a moment to read & sign your name with us in the Thank You letters we will be delivering to Mee Moua, Dr. Neal Thao & Senator Foung Hawj. We want to acknowledge and say Thanks for their leadership and public support for Marriage Equality in Mn and LGBTQ rights. And please copy this post and share widely. Thank you! CLICK HERE TO READ AND SIGN YOUR THANKS! This entry was posted in Hmong, leaders, LGBTQ, Marriage Equality, Minnesota, social justice, Southeast Asian and tagged ally, foung hawj, hmong, justice, leades, LGBTQ, mee moua, Minnesota, neal thao, rights, senator. Bookmark the permalink. 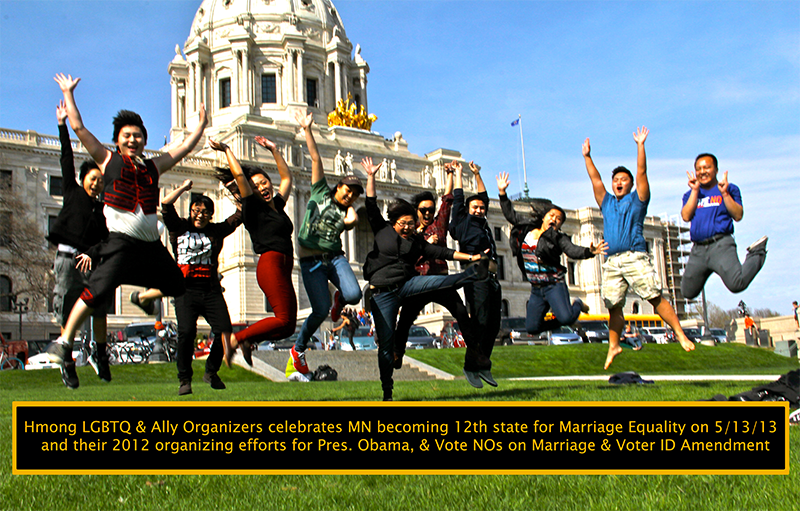 Southeast Asian Queers Rally & March at the MN Capitol Against Monsanto!